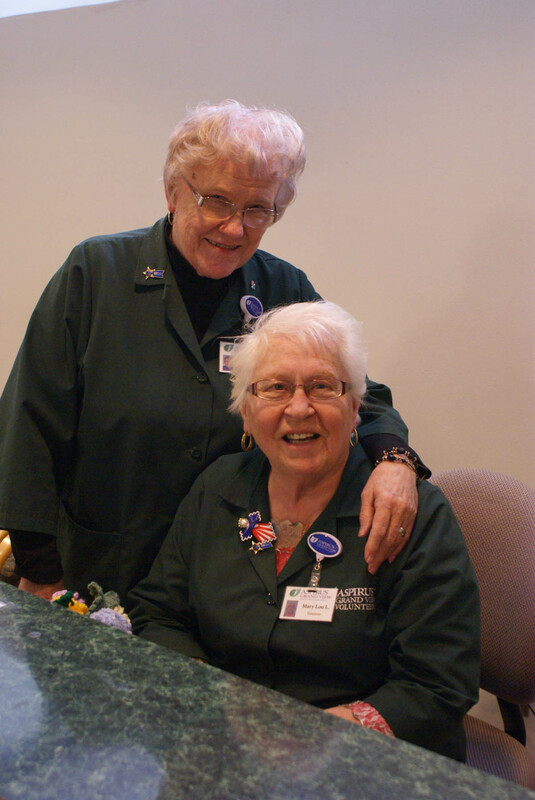 Aspirus Ironwood Hospital Auxiliary and senior and junior volunteers provide essential help to patients, visitors, and employees of Aspirus Ironwood Hospital & Clinics. Our junior volunteer program offers excellent opportunities to learn about health-related careers and is an excellent experience for young adults. We also offer a number of ways junior volunteers (ages 14 to 18) can volunteer during the summer months, with a limited number continuing throughout the school year as part of their school’s contracting program. The junior volunteers and contracting students assist the staff in nursing, social services, public relations, nutrition services, community wellness, radiology, physical therapy, material management, and the clinics. For more information about volunteering at Aspirus Ironwood Hospital, please call DeeDee Lorenson at 906-932-6209. Ready to be a Junior Volunteer? Completed applications can be returned to DeeDee Lorenson at Aspirus Ironwood Hospital or e-mailed to DeeDee.Lorenson@Aspirus.org.